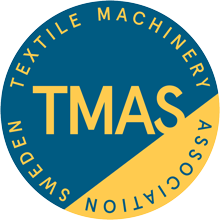 The individual members of TMAS are each in the forefront of our own specific segment, with a long successful history and a passion for textile manufacturing. We pool our resources together or work individually depending on your specific challenges and needs to provide you with the most effective customized solutions possible. Eltex is a leading company in weft and yarn supervision. The core activity is to develop yarn break sensors and tension monitors together with OEM customers. Close cooperation between Eltex and the machine makers is essential for the business. This is the basis for the market leading position the company has today. Knowledge of yarn break detection and tension monitoring, combined with the machine makers know-how ensures that the sensors have the highest performance and quality. TEXO is one of the world´s leading manufacturers of weaving looms for production of Paper Machine Clothing and Industrial Technical Fabrics. More than two thirds of the looms for the paper industry have been supplied by TEXO. The company also provides customers with rebuilds and retrofits of existing looms, which helps them increase productivity and meet their quality demands. TEXO operates on the global market with offices in Europe, Asia-Pacific & the Americas.